When You Decide To Avoid Sugar — Karin Kratina, PhD, RD c.
You've read that sugar is bad so you decide to avoid it. To avoid sugar, have to notice it to make sure you don't eat it. So you must pay attention to it, be on the look out for it. Watch out for it. And then what happens? Now that you are monitoring for sugar, sugar seems to turn up everywhere. It's at restaurants, it's at the grocery stores, at parties, at work, all over food labels! The more you look for sugar, the more you see it, the more it's on your mind. AAAGGGHHH. And that is scary! The very thing you are avoiding is what you keep thinking about. Then anThan an odd thing happens, you begin to crave sugar. In fact, you crave it now more than when you than you did before you were trying to avoid it. You wonder if you can trust yourself -- you set up what seemed to be reasonable parameters to keep yourself on track with eating, and you ended up feeling out-of-control. HOW DID THAT HAPPEN? To understand, let's move away from the topic of food and consider the same scenario with something less emotionally charged than food. Flying. Consider a friend who avoids flying. Maybe she is afraid, maybe she dislikes it, but she doesn't go anywhere that involves flying. Now she wins a trip to Hawaii? What is the first thing she thinks about? Not the gorgeous beaches or beautiful water. Not the hike up the volcano or wonderful meals. She is focused on the flying. She can't get out of her head the very thing she has been avoiding. "I don't want to fly, is there another way to get there. Can I take a boat? Maybe I should just cancel the trip. Or what if I can can she get some Xanax? That's probably not strong enough. I'll bring some alcohol as well. Maybe I can tolerate the flying then. I really want to go to Hawaii, but OMG, the FLYING!!!!" Her need to avoid makes her think about the thing she wants to avoid even more! Now consider a friend who doesn't love flying, nor does she hate it. Sometimes its fun, mostly it’s neutral. She wins a trip to Hawaii, what is she thinking about? She immediately begins planning the trip, thinking about who she is taking with her, about swimming in those amazing waters, having a drink at the tiki hut, what beaches they will be visiting, etc. The person who is wants to avoid flying actually thinks about it more than the person who finds flying neutral! The same thing happens with food. The more you try to avoid a food, the more you will think about it. Maybe not today, but eventually. At the core of the problem is the dichotomy of good/bad, healthy/unhealthy food we use in this culture, ostensibly to keep us on track with healthy eating. But this same dichotomy can be a set up when you feel you must steer clear of the foods labeled bad. You can fix this by not labeling a food as bad, but instead viewing foods as neutral. You can do this when you realize labeling a food as good or bad causes you to miss a wide variety of variables, all of which impact your health. A food which may benefit you nutritionally one day may not benefit you the next. With this shift in focus, rather than point to the food as the culprit, you must pay attention to your needs and your relationship with the food. Only then can you truly determine if a food will truly nourish you or not. For instance, if you ate large amounts of vegetables one day, and you have a choice of a hamburger or veggie-stuffed salad for dinner, you may be better off with the burger, which provides nutrients that eating more vegetables could not provide adequately, such as protein and iron. On the other hand, what if you are very hungry but have been called to a meeting that will likely last at least 2 hours. The only thing available is a chocolate chip muffin. 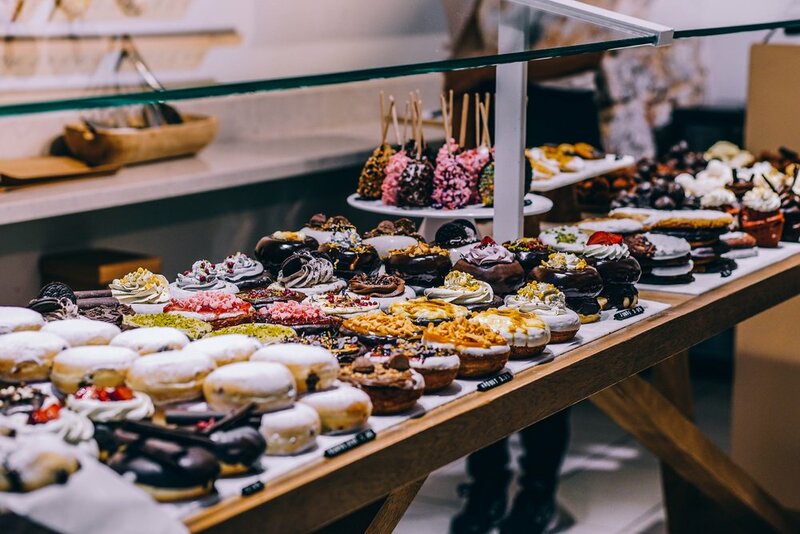 You would be better off eating the cake-like muffin to tide you over than skipping it and ending the meeting ravenous, grabbing whatever you can because your resolve has been pummeled by your extreme hunger. Sometimes, nutrition must be measured is ways well beyond protein and vitamin D and caloric content. Sometimes you need to take a broader perspective when deciding how to meet your nutritional needs. A good place to start is to quit looking at food as good/bad, and begin looking at it in context with your personal needs and your life. Karin helps women and men break free from food/eating/weight issues. She has co-authored numerous books, book chapters and articles. Visit www.NourishingConnections.com for more tips on attuned eating and download free handouts including the free Hunger/Satiety Journal Sign up for Stay Attuned, an inspirational ezine, Stay Attuned. Permission granted to reproduce and/or forward with all copyright and "About the Author" information intact.